A small boathouse once stood at this location on the tip of Frautschi Point. Reginald Jackson, Jr. (Reggie Jr.) kept his motor boat here, using it to access his beloved 35-foot gaff-rigged sloop, the “Peggy,” moored offshore. 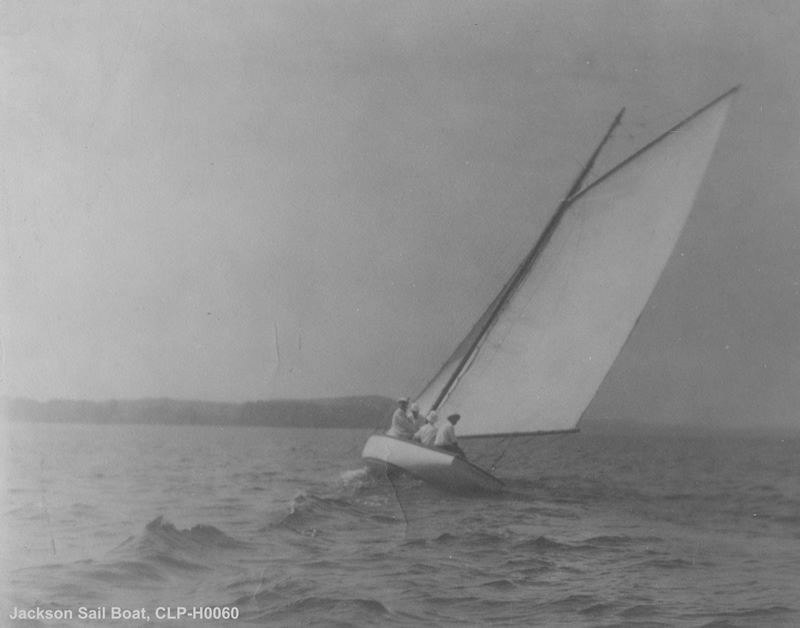 The “Peggy,” built in 1906, was still sailing Lake Mendota into the 1970s. On several occasions, Reg Jackson managed to sink his prized boat while out sailing with his much younger fraternity brothers.